The non-activated version of the program has no function limitations, although the program will process only 5 minutes of your video. The non-activated version of the program has no function limitations, although the watermark banner will be placed in the centre of the output video file. AVS Video Converter 是一個功能強大的多媒體視頻檔轉換工具,程式可以説明你快速的在多種視頻檔案格式之間進行互相轉換,在轉換過程中還可以對視頻檔進行調整或 者增加視頻 特效.程式支援包括AVI,DivX,XVid,WMV,MPEG等多種視頻檔案格式,支援包括亮度,對比度,銳化,翻轉,自動對照,重定義視頻檔案大小 等多種視頻調整功能! The non-activated version of the program has no function limitations, although the voice logo will be added to the output audio file. Add audio tracks of any format such as WAV, MP3, FLAC, M4A, OGG, AAC, AMR, etc. 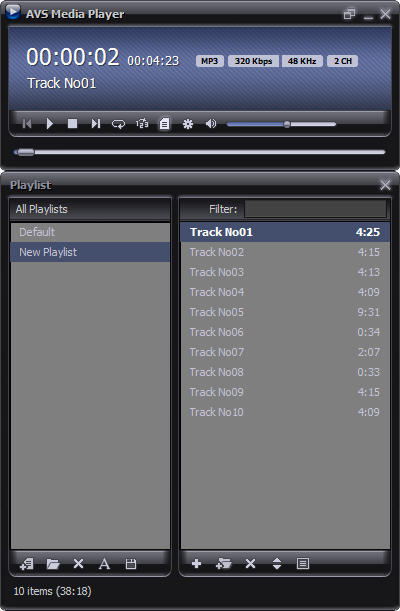 Create personal playlists to any taste and style with AVS Media Player. See a list of supported audio formats. AVS Media Player interface and tech-support are available in English, French, German, Spanish, Italian, Japanese, Polish and Russian. AVS DVD Copy automatically sets the best video and audio settings and compress DVD to fit the disc if the size is too large! Copy from personal DVD disc or DVD folder on the computer hard disk and burn a DVD disc. AVS DVD Copy supports CD-R/RW, DVD+/-R, DVD+/-RW, DVD-RAM, Double/Dual Layer DVD. AVS DVD Copy interface and tech-support are available in English, French, German, Spanish, Italian, Polish and Russian. Open video from DV- and MiniDV cameras. Save files on hard drive in native AVI DV format or in MPEG-2 with AVS Video Recorder. Leave free space on your hard drive. Transfer your video files from HD-cameras and record them in camera native format or in MPEG-2 with AVS Video Recorder. Record and save live video on hard drive and encode it in MPEG-2 or MJPEG format with AVS Video Recorder. Transfer video from VHS camcorders and VCR to your computer. Give new life to your old VHS tapes with AVS Video Recorder. 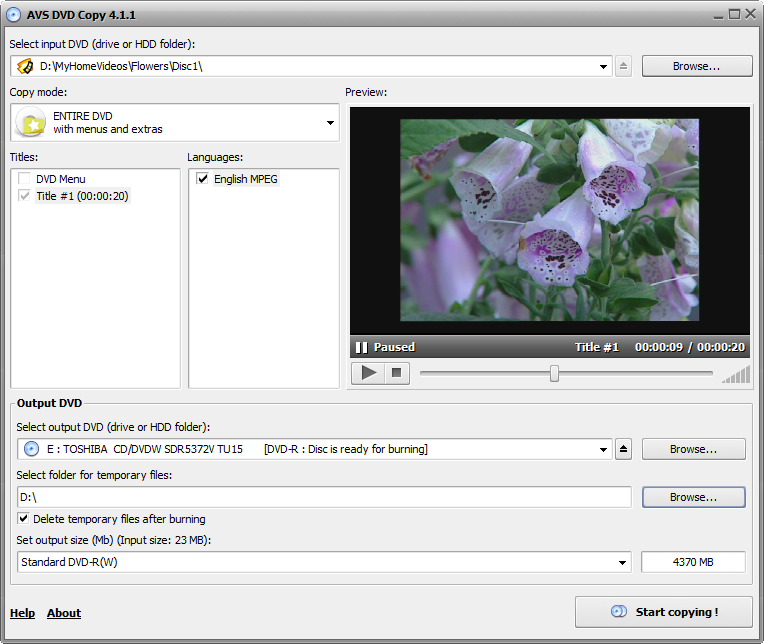 Save video on your hard drive in lightweight MPEG-2. AVS Video Recorder interface and tech-support are available in English, French, German, Spanish, Italian, Japanese, Polish and Russian. AVS Image Converter. See a full list of supported image formats. Automatically resize your photos to popular printing formats with AVS Image Converter. Prepare your images for future slideshows that you can upload to popular websites. Get the effect of aging in old photographs, or make your pictures look "classic" and use the black-and-white effect, etc. with AVS Image Converter. 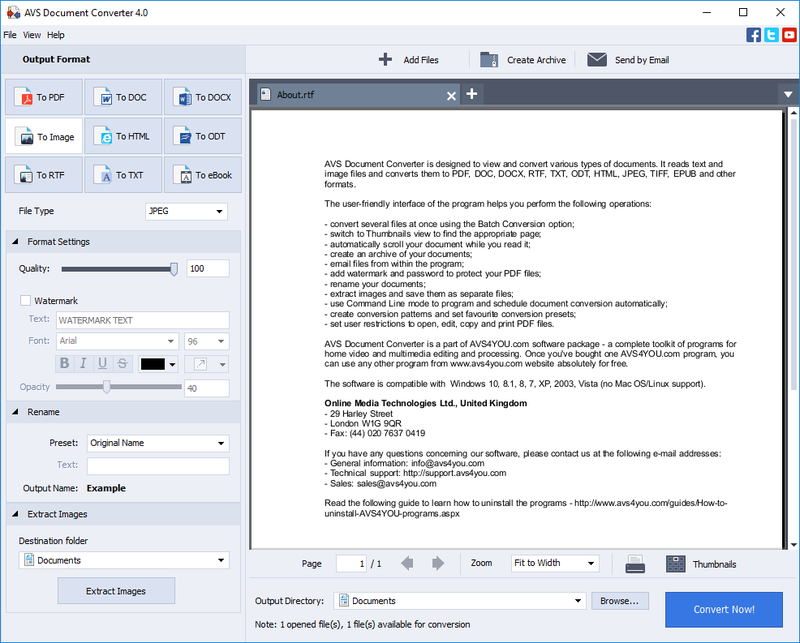 AVS Image Converter interface and tech-support are available in English, French, German, Spanish, Italian, Japanese, Dutch, Polish and Russian. 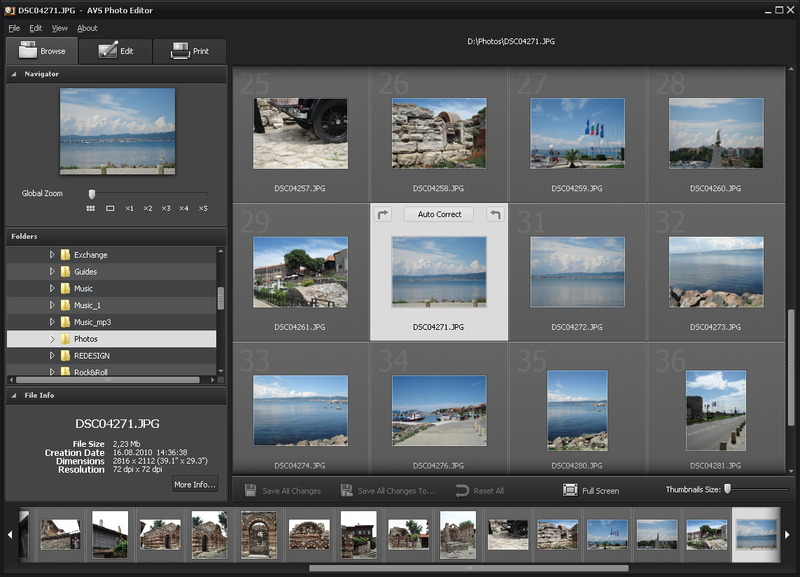 AVS Photo Editor interface and tech-support are available in English, French, German, Spanish, Italian, Japanese, Polish and Russian. Create a unique design for DVD/CD covers with AVS Cover Editor. Make colorful layouts: select pre-made templates or import your own images for a disc surface, front and back covers. Create covers for various disc types: CD, DVD, Blu-ray discs, VCD, etc. Locate images easily: AVS Cover Editor special grid helps you place objects precisely. Set up grid size and color. Zoom in/out to view details. Add texts, change color, size, make a round text, adjust opacity with AVS Cover Editor. Change tints and play with various fonts in your design. Select a desired size for a disc cover from AVS Cover Editor ready list. It can be a standard DVD/CD case or exotic slim 3"5 size. AVS Cover Editor interface and tech-support are available in English, French, German, Spanish, Italian, Polish and Russian. AVS Ringtone Maker 鈴聲製作工具 AVS Ringtone Maker允許你從任何聲音創造你自己的定制鈴聲,從您最喜愛的歌曲, 從您最喜愛的電影原聲,從您你的朋友們的聲音,孩子歡笑, 你的貓或你的門鈴. Create ringtones from any audio input and save them in the following formats: MP3, WAV, WMA, M4A, etc. with AVS Ringtone Maker. Record sounds from various input sources such as microphone, CD players, etc. Edit audio files: trim, cut, delete parts and make a cool ringtone with AVS Ringtone Maker. Mix several audio files to be a ringtone with AVS Ringtone Maker. Apply effects to the mixed audio sequence. AVS Ringtone Maker interface and tech-support are available in English, French, German, Spanish, Italian, Polish and Russian. 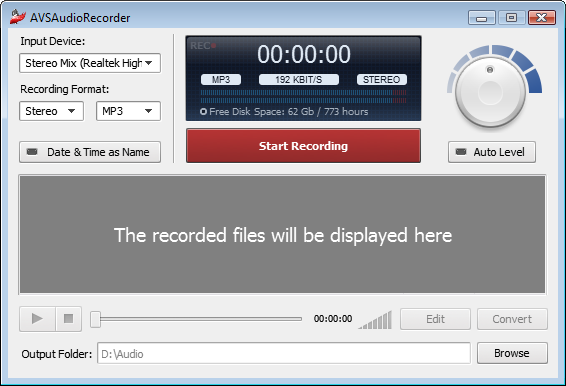 Record various audio data with AVS Audio Recorder. 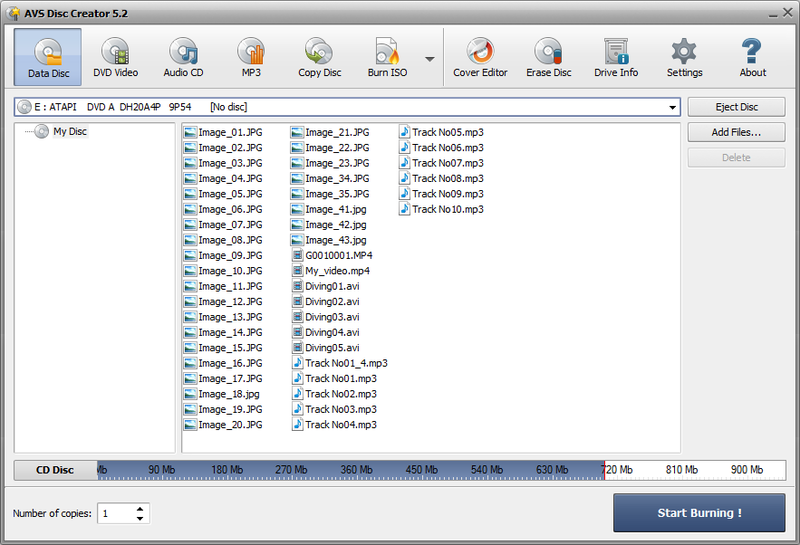 Record any audio files and save them in such popular formats as MP3, WMA and WAV. Select and configure the audio recording device in AVS Audio Recorder interface. Play back an audio file to make sure that the quality is sufficient. AVS Audio Recorder interface and tech-support are available in English, French, German, Spanish, Italian, Japanese, Polish and Russian. AVS Disc Creator. All major media are supported: DVD+/-R, DVD+/-RW, DVD-RAM, Double/Dual Layer DVD, etc. Write your data onto Blu-ray (BD-R, BD-RE) discs. Store your data in the highest quality due to the unique BD data capacity of 25 or 50 GB per disc. Create boot CD/DVD discs with AVS Disc Creator. Make a copy of your software to load and run an operating system or utility programs in case of emergency. Create an image of your personal video and save it on PC. Or make an ISO image directly from a disc or HDD. 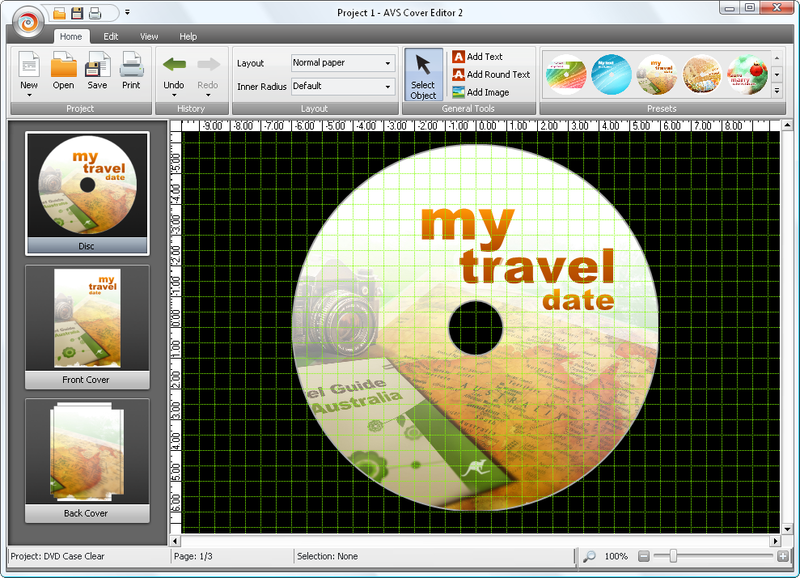 Edit, delete or add new files in ready disc images made with AVS Disc Creator. 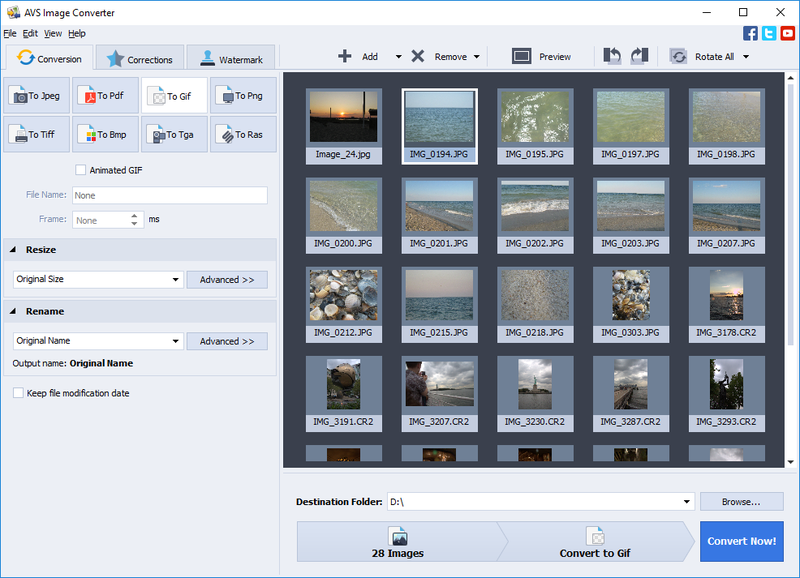 AVS Disc Creator supports a variety of image file formats such as Nero Burning-ROM image files, Alcohol 120% image files and so on. See a full list of supported disc image formats. AVS Disc Creator interface and tech-support are available in English, French, German, Spanish, Italian, Polish and Russian. Convert MP3, WMA, WAV, M4A, AMR, OGG, FLAC, MP2, etc. Manage APE files and encode them to any key audio format supported by AVS Audio Converter. See a full list of supported audio formats. 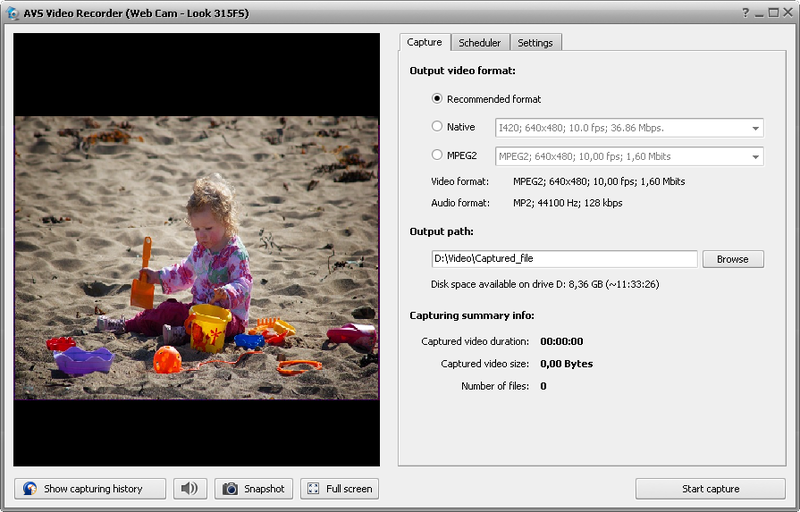 Select and convert audio from your video files. supports DVD, MPEG, MP4, AVI, DIVX, MOV, WMV, VOB, 3GP, RM, QT, FLV, etc. See a full list of supported video formats. Convert your audio tracks to M4B format with AVS Audio Converter. Divide them into chapters and add bookmarks. Set up quality level before audio conversion. Prepare audio files for your iPod/iPhone. Edit an audio file and save it to M4R format for iPhone. Make an individual ringtone with AVS Audio Converter. 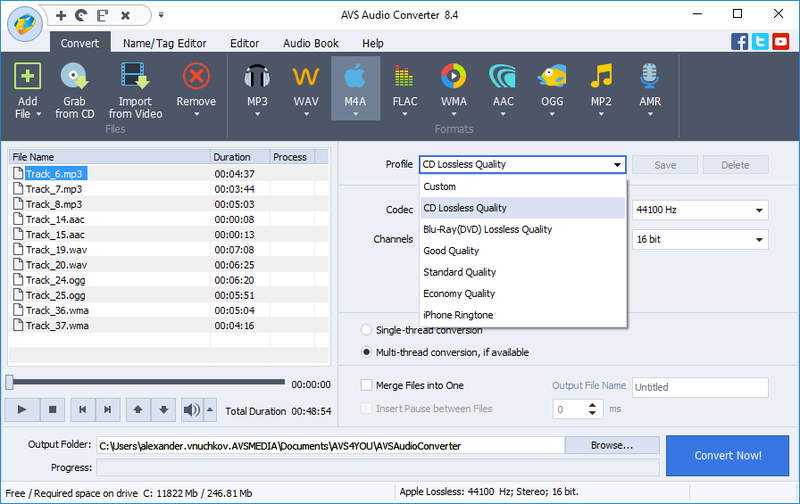 Trim, delete parts, merge files, apply effects with AVS Audio Converter. Modify extra text information in your audio files. AVS Audio Converter interface and tech-support are available in English, French, German, Spanish, Italian, Japanese, Dutch, Polish and Russian. 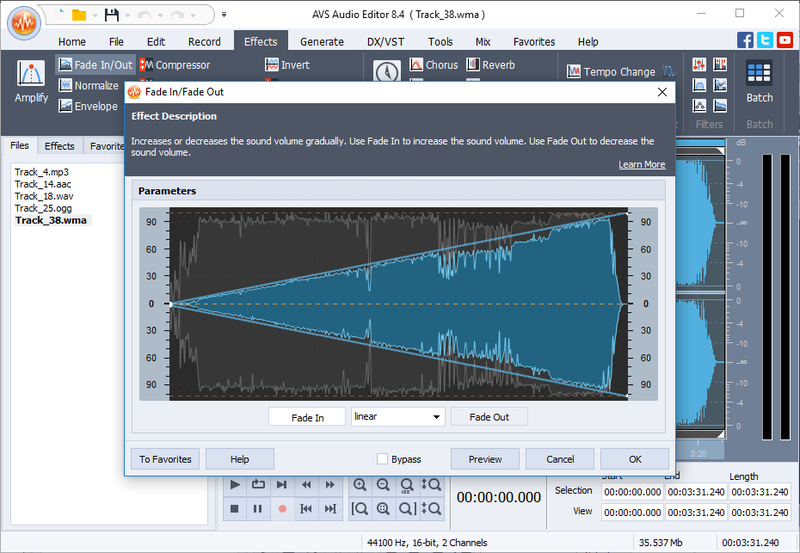 AVS Audio Editor 是一個功能強大的高級全功能數碼音訊編輯工具,你可以使用它錄製音訊,然後可以利用內置強大的音訊編輯功能進行混音操作,還可以為錄製的音樂增加多種不同 的音訊特效,製作好的音樂還可以利用內置的壓縮功能製作為高品質的MP3檔,AVS Audio Editor 支援所有的音訊檔案格式,還可以通過PLug-In無限擴充功能,AVS Audio Editor 還可以允許你直接通過頻率分析介面對錄製的音樂直接進行分析和編輯操作! 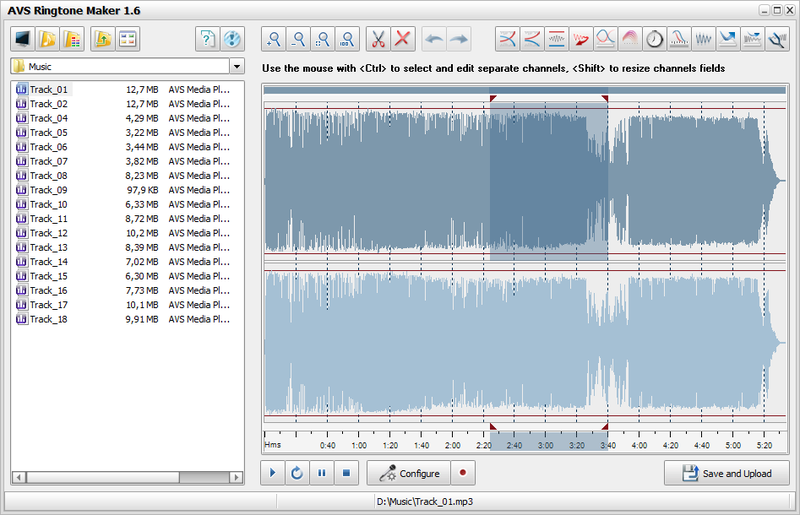 Edit and save audio files in MP3, FLAC, WAV, M4A, WMA, AAC, MP2, AMR, OGG, etc. with AVS Audio Editor. See a full list of audio formats. AVS Audio Editor interface and tech-support are available in English, French, German, Spanish, Italian, Japanese, Dutch, Polish and Russian. Scan different registry categories like uninstalled entries, shared DLL's, COM/ActiveX, file extensions, etc. Delete temporary Internet files, corrupted applications, trash files in the recycle bin, etc. AVS Registry Cleaner is compatible with the latest version of Microsoft Windows 8/8.1 including 64-bit version. Windows 64-bit Vista versions are also supported. 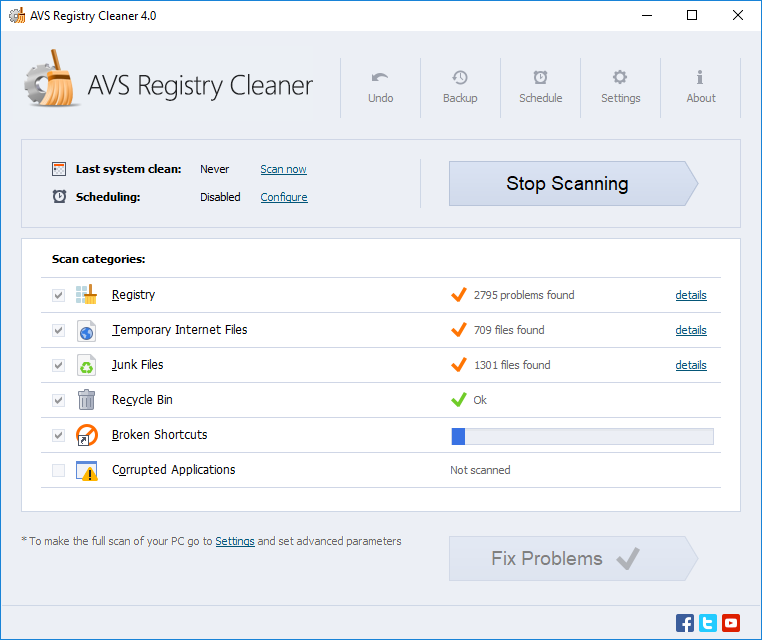 AVS Registry Cleaner interface and tech-support are available in English, French, German, Spanish, Italian, Japanese, Polish and Russian. AVS Document Converter interface and tech-support are available in English, French, German, Spanish, Italian, Japanese, Polish and Russian. Select what to copy: only the video or the entire personal DVD together with menus. Select titles and languages that you wish to copy.